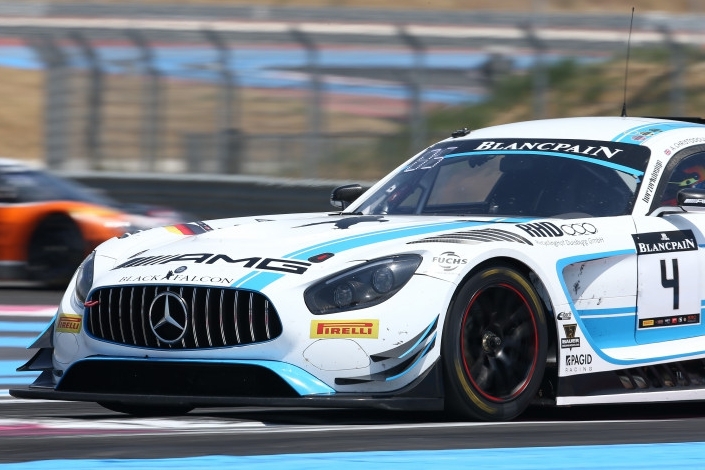 Yelmer Buurman’s 1:56.442 lap of the Paul Ricard circuit scored himself and teammates Luca Stolz and Adam Christodoulou Pole Position in the #4 Black Falcon Mercedes AMG GT3 for the Blancpain 1000km later today. Burman’s time took provisional Pole in the searing heat from Davide Rigon in the #72 SMP Racing Ferrari at the end of Q3, by just 0.031. In what was a competitive session for Ferrari customers, the #50 AF Corse Ferrari ended up third with a 1:56.599 from Alessandro Pier Guidi. Behind, the #14 Emily Frey Jaguar ended up fourth, two tenths off Pole, ahead of the #84 HTP Mercedes AMG GT3 that bookended the top five for the Stuttgart-based brand. Way down the order in 20th overall was the overall Blancpain GT points leaders in the #63 Grasser Racing Lamborghini Huracan. 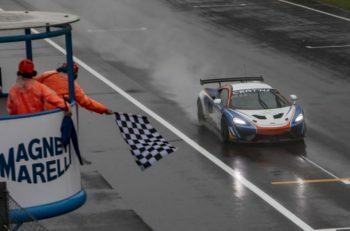 Mirko Bortolotti could only manage a 1:57.441, it was only a second off, but it was so tight between the frontrunners that being just fractionally off the pace was enough to hand the team a low starting position. The Silverstone Pole-sitters in the #88 AKKA ASP Mercedes meanwhile, recovered to ninth, after an eventful Qualifying for the team, in which Renger Van Der Zande lost a wheel in the second session. Dani Juncadella set the fastest time in the car, a 1:57.107 in Q3. In the Pro-Am class, it appeared that the #37 BBT Ferrari would claim Pole, after Toni Vilander set a 1:57.230, but the Finn was pipped to the top spot by Matteo Cressoni in the #11 Kessel Racing Ferrari who set a 1:57.221 benchmark. 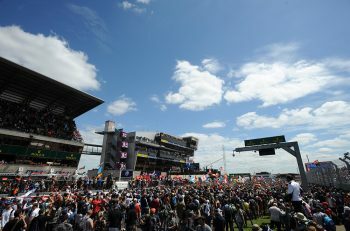 The flying laps put the two Ferraris 14th and 15th overall respectively. The #333 Rinaldi Ferrari ended up 16th overall, and third in the class. Of the Am Cup runners, Rino Mastronardi in the #488 Rinaldi Racing Ferrari emerged fastest. A 1:58.176 put him and the team Pole in class and 46th overall. 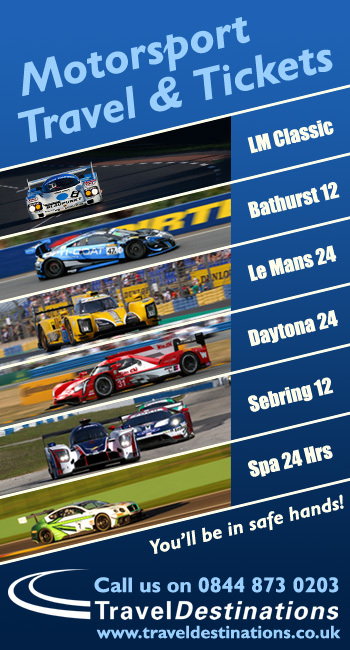 The Circuit Paul Ricard 1000 km is set to begin at 18:00 local time in France, running into the darkness.